One of the earliest, more interesting and complex representations of a transgendered person in cinema is the character Erwin/Elvira (in a brilliant performance by Volker Spengler). The film’s title refers to the number of new moons that occur in certain years and postulates that in these years some people might be more vulnerable and susceptible to emotional instability and depression. 1978, the year the film was released and the year Fassbinder’s lover committed suicide, was one such year. As a character study, the film traces the physical and psychical evolution of Erwin into Elvira in a non-linear narrative from Elvira’s point of view. One of the most memorable sequences from the film takes place when Elvira shows his new friend Zora the slaughterhouse in which he used to work. The sequence involves a realistic rendering of the slaughter of cattle as they are herded, stunned and then drained of blood while Elvira in an increasingly shrill narrative voiceover explains the emotional evisceration of himself by his former lover, Christoph. The film concludes with Elvira’s confrontation with the man, Anton Saitz, who, before Erwin’s gender reassignment, was the reason behind it. Eschewing any simplistic definition of gender roles, the film challenges the viewer to think about the power struggles in all relationships and how they come to define who we are and who we love. “Ich bin Biberkopf (I am Biberkopf) remarked Fassbinder, underscoring his identification and emotional attachment with Franz Biberkopf, the flawed, simple minded and oafish character in Alfred Döblin’s modernist novel. 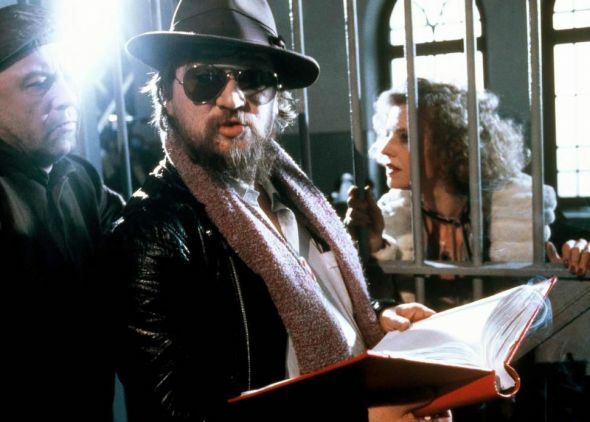 Fassbinder has written of how the book, more than any other work of art, forever altered the course of his life, essentially providing a road map for how he should live and understand himself. Shown on television in Germany in 1980, it was a bold experimental film spread out over the course of thirteen weeks and was greeted with quite a bit of anger and bewilderment from television subscribers because of the meandering plot, image quality, and coarse subject matter. The film’s opening shows Franz being released from prison after serving a sentence of four years. He makes a vow to live a good life and avoid the criminal elements that landed him in prison. Unfortunately, fate is not on his side. The film is set in Berlin in the late 1920s and as in the novel provides a social realist commentary on the harsh economic conditions of the time. 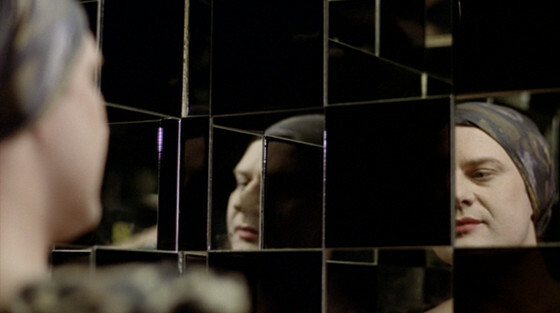 Fassbinder captures not only the spirit of the novel but also attempts to narrate it through the experimental language of cinema, most notably by interrupting the narrative with voiceover commentaries that do not enhance the plot but rather inform the viewer of a particular emotional state of a character or scene. It is a gritty, bold attempt to capture a metropolis and its denizens at a time when the Nazi party is becoming an unavoidable presence in the landscape of postwar European politics. Instead of focusing on the larger political landscape, however, the film concentrates on those poor and working classes trying to carve out a space for themselves as they simply try to survive. Photographed in sumptuous black and white, Veronkia Voss is the second film in the BRD trilogy that indicates the director moving into a more Hollywood style of filmmaking. Focusing on an aging film star whose drug addiction and dependence on alcohol eerily mirrors Fassbinder’s own, we see Veronika Voss slowly comeing to terms with her inevitable death as a film star whose time is past. Based in part on the real life UFA star Sybille Schmitz, her decline is situated within the context of 1950s Germany where the state still views its role as citizen protector in the patronizing guise of the doctor-patient relationship. The film can be viewed as a critique of studio system filmmaking and the rise and fall of its prime commercial commodities—film stars. Veronika Voss’s downward spiral calls to mind Norma Desmond in Billy Wilder’s Sunset Boulevard. 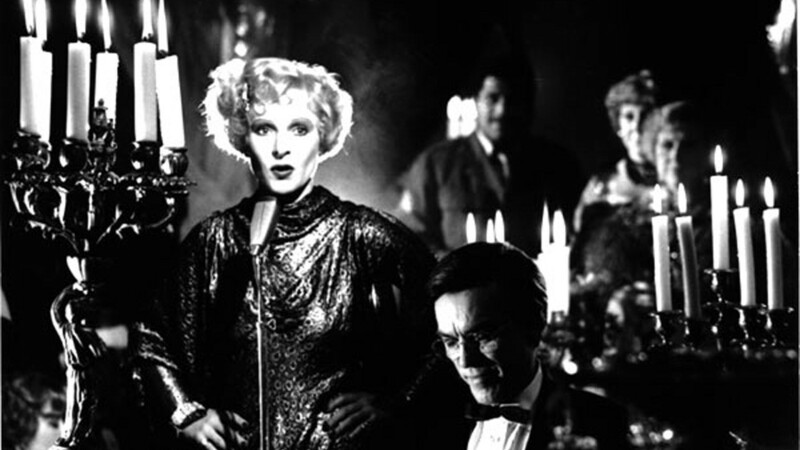 Hanna Schygulla stars as the titular character in one of the most commercially and financially successful films of Fassbinder’s career. It chronicles the experience of a recently married woman as she navigates the ruin of postwar Germany and its economic recovery known as the German economic miracle. 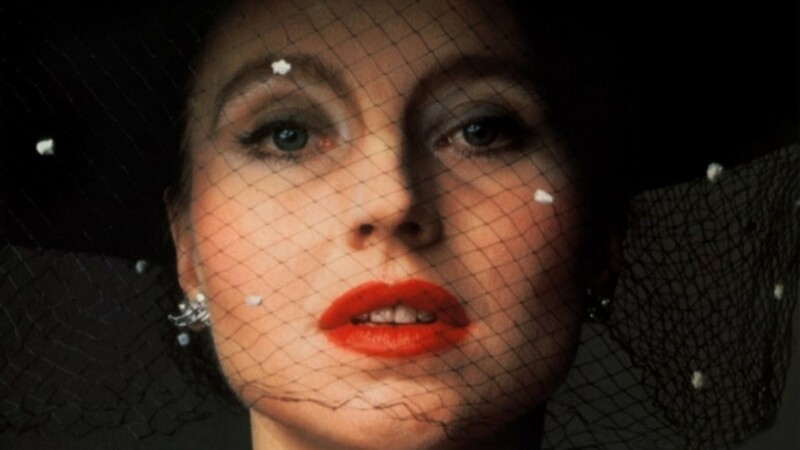 Cinematographer Michael Ballhaus, who photographed many of Fassbinder’s movies, exquisitely captures the devastation and beauty of the city and landscape as Maria asserts her own autonomy and independence as she succeeds by any means necessary to improve her life. Fassbinder’s most popular film, this is a good place to start for an introduction to the director’s oeurve and where the influence of Douglas Sirk is keenly felt; it is also the film that catapulted him into an internationally recognized filmmaker. Ali depicts a chance encounter between an older German woman (Emmi) and a much younger Moroccan immigrant (Ali) living in Germany. Just as Douglas Sirk shows the class prejudice underlying a small American town in All That Heaven Allows with Rock Hudson and Jane Wyman, Fassbinder creates a moving portrait of love that crosses boundaries of race and age, and in doing so examines the prevalent racism in Germany that existed at the time. The bonds of family and friendship intercede between the two lovers until the stress of communal pressure separates the two. Fassbinder emphasizes the alienation and isolation of the characters by often framing them in doorways and the way they are gazed at by others. The act of looking is shown to constitute the social position of the film’s protagonists. Todd Haynes would update this story again in 2002 with Far From Heaven. Author Bio: Daxton Norton is a professor of composition, film and literature and holds a Ph.D. in Comparative Literature from The University of Oregon, with an emphasis in film studies. He enjoys teaching students how to watch and think critically about movies.